Join the UNM Department of Spanish and Portuguese and colleagues as we welcome Afro-Brazilian journalist and creative writer Esmeralda Ribeiro to the UNM campus. Although she was not one of the original founders of the CADERNOS (Notebooks) or the group itself, she and Márcio have edited and organized the series, Cadernos Negros (Black Notebooks). 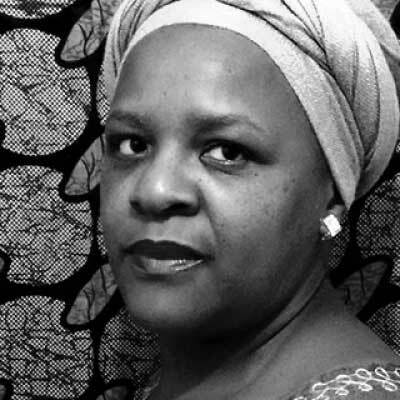 She has also collaborated with Márcio and Quilombhoje Literatura on two successful projects for the black community. She designed “Sarau Afro Mix” (Afro Mix Salon), a multimedia event with mini-presentations, a poetry slam, and dance performances. She also created “Xirê de Palavra & Poesia Afro” (Rite of Afro Words and Poetry), presentations about Afro-Brazilian and Black literature, followed by a recital of poetry. This was geared toward children and adolescents in public and private schools. She has a plethora of individual works and anthology contributions to her name.